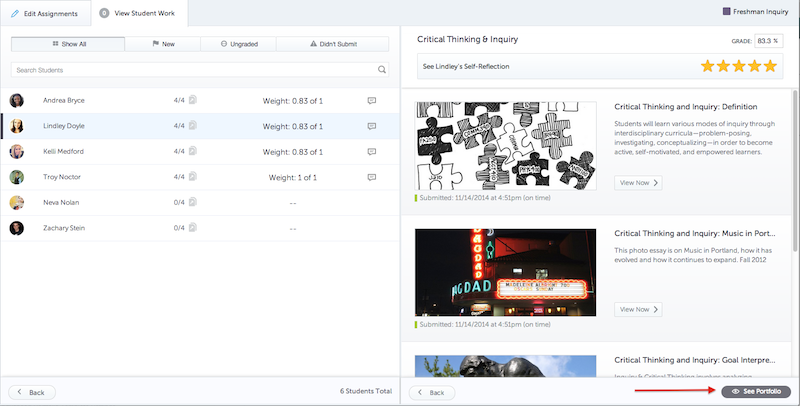 The View Student Work tab allows you to view and grade student work. 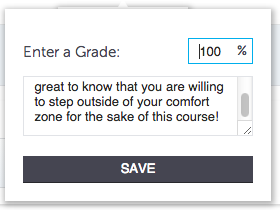 Here, you can assign numerical (point and percentage grades) as well as qualitative feedback in the form of comments. 3. You can click View Now to view the artifact the student submitted. 1. Under the Points column, assign point values to the criterion. 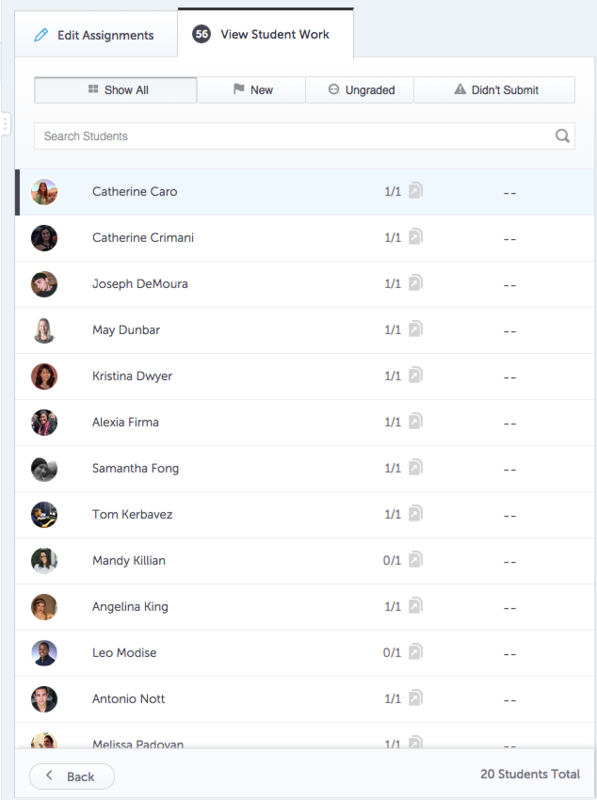 Students will be able to see all grades and comments when they next log in. 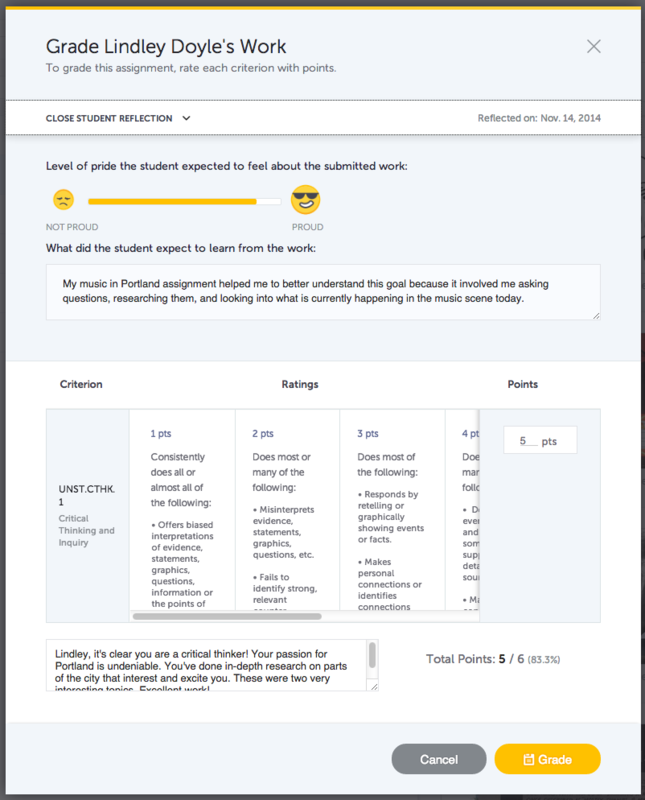 You can filter students based on whether or not they have submitted the assignment or if it is graded or ungraded. 1. 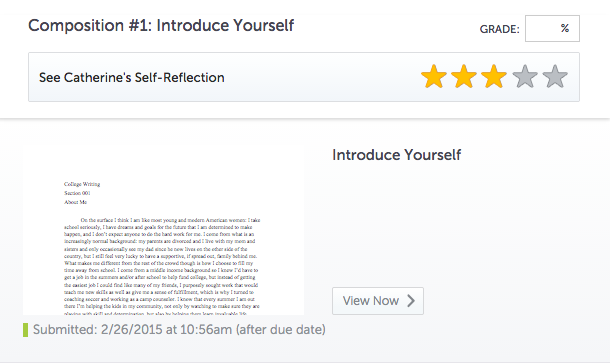 Clicking on New will show all students whose assignments you have not viewed yet. 2. 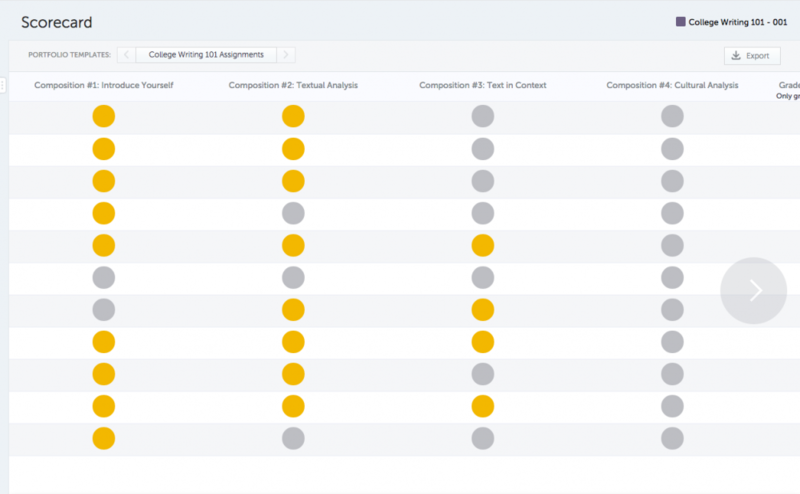 Clicking on Ungraded will show all ungraded assignments. 3. Clicking on Didn't Submit will show all students who have not yet submitted the assignment. 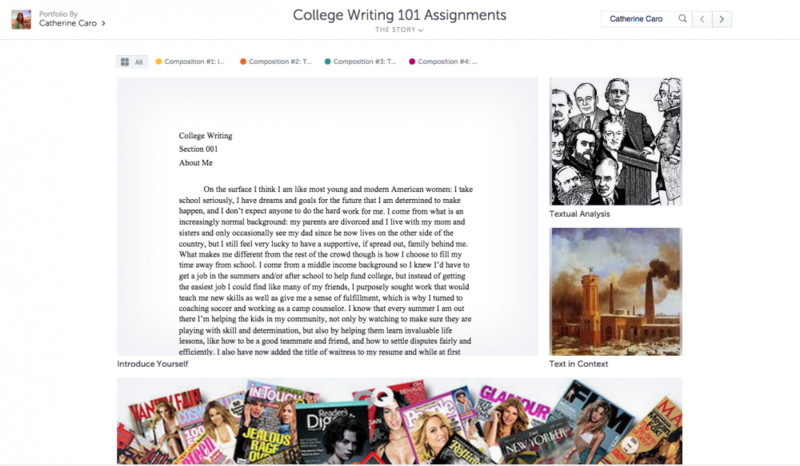 You can get a live view of a students work-in-progress or completed portfolio. 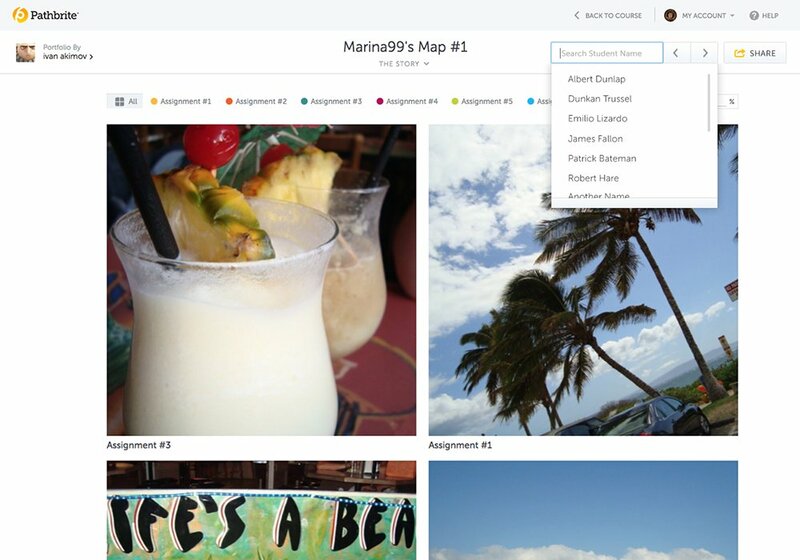 In the upper right corner, you’ll have the ability to other students’ portfolios. Type in the first few letters of their name to find them. 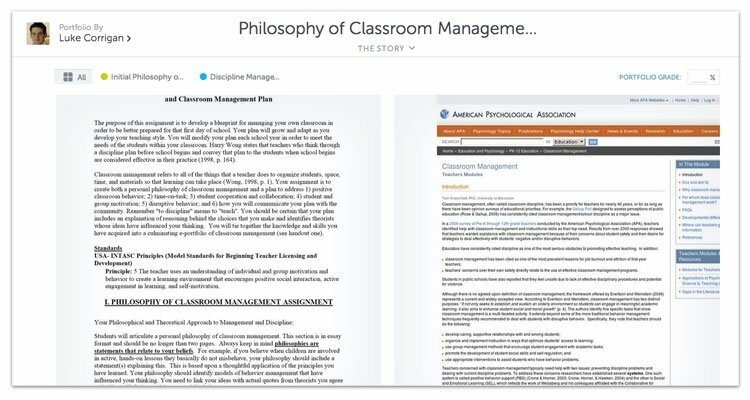 The Scorecard allows you to see your entire class roster, individual assignment grades, and grades for entire portfolios.